Send your wishes with this beautiful gift tower. 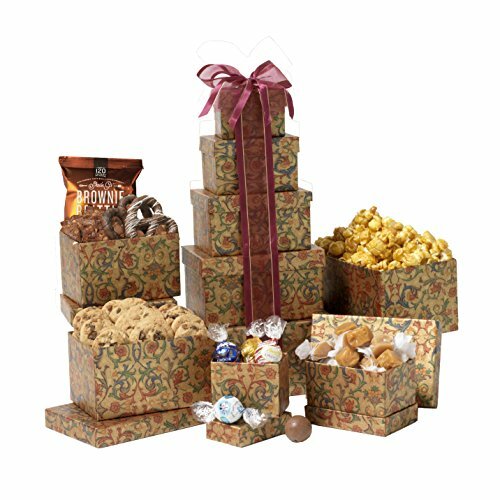 Filled with berry-cherry trail mix, soft caramel kisses, blueberry greek yogurt cookies, gourmet caramel popcorn, Sheila G brownie brittle, and assorted milk toffees. The perfect gift to share with friends on any occasion.